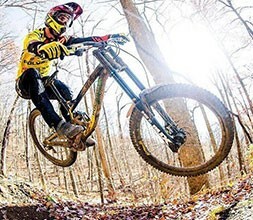 With pro riders like Sam Reynolds and Kurt Sorge (won Red Bull Rampage twice) racing on Polygon bikes, as well as pro downhill racing team, UR Polygon tearing up the rulebook, you can be sure these mountain bikes are ready for anything. The revolutionary new R3act rear suspension system can be found on Polygon full suspension bikes offering new levels of comfort, control and efficiency. Polygon bikes aren’t just for pros, however, with premium hardtail MTBs including the Premier and Xtrada under £1,000, you can enjoy the fruits of their experience at a budget friendly price. The Polygon Siskiu is a trail bike with attitude for those wanting to hit single-track and steep descents on local trails. 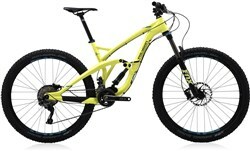 Polygon bikes are available in 27.5” and 29” wheeled options.